Peace of mind is something that is never attained so easily. It is rightly said that spirituality brings one to gaining the serenity of mind and pleasure that is hard to compare with anything else in life. Temples in south India are well known for providing the travelers with unmatched chance to experience spirituality and the peace of mind. Karnataka, especially, is a home to several destinations boasting beautiful temples that are epitomes of sacredness. In addition to this, these sacrosanct temples also possess beautiful architecture of ancient epoch. 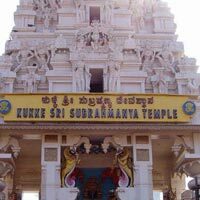 On arrival at Bangalore airport, meet our representative who will be there for your welcome and thereafter to transfer you to Kukke Subrahmanya by road. On arrival, check in at your already booked hotel and rest for a while. Thereafter, be ready to pay a visit to the main temple of Subrahmanya. 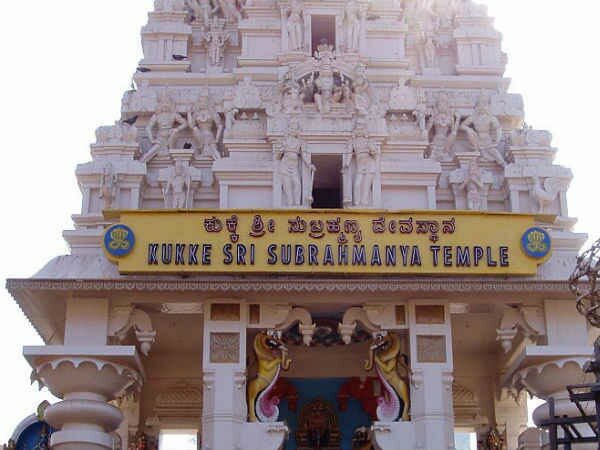 Afterwards, we will be visiting Adi Subrahmanya Temple. In the evening, we will return back to the hotel for dinner followed by an overnight stay. In the morning after breakfast, we will check out from the hotel in Kukke Subrahmanya and drive to Mangalore. En-route, we will stop at Dharmasthala, which is about 60 kms away and is counted among a famous Hindu pilgrim centre. Here, we will explore the Manjunathaswamy Temple, one of the major attractions of Dharmasthala. Thereafter, we will visit Rathnagiri to explore the statue of Bhagawan Bahubali or Gommateshwara and Sri Rama Kshetra located on the bank of Nethravathi River. Afterwards, we will proceed to our final destination i.e. Mangalore. On reaching, check in at the hotel and enjoy a relaxing overnight stay. Dharmasthala is a well acknowledged town lies on the banks of the Nethravathi River in the Belthangadi taluk of the Dakshina Kannada district in Karnataka state of India. It is known for its Dharmasthala Temple that houses the shrine of Shiva, Ammanavaru, Manjunatha, Chandranath and the Dharma Daivas (guardian spirits of Dharma) namely Kalarkayi, Kalarahu, Kanyakumari and Kumaraswamy. The poojas in the temple are conducted by Hindu priests of Madhva; however, the temple is run by a Jain administration. After breakfast in the morning, we will leave for the local sightseeing of Mangalore and explore its ancient temples. We will start our day tour by paying a visit to Kadri Manjunatha Temple. Thereafter, we will head towards the Mangaladevi Temple, Sharavu Mahaganapathi Temple, and famous Kudroli Gokarnanatha Temple. After witnessing the local temples of Mangalore, we will pay a visit to Kateel Durga Parameshwari Temple, which is about 20 kms away and nestled on the bank of Nandini River. If time permits, we will also visit Kudupu Ananthapadmanabha Temple which comes on the way to kateel. Afterwards, we will proceed to Udupi. On arrival, check in at the hotel. 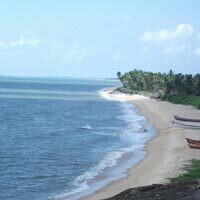 In the evening, we will visit the Malpe beach and have stunning views of the Sun set. Enjoy an overnight stay in the hotel in Udupi. Mangalore also known as Mangaluru is the chief port city of the Karnataka. It is known as Kudla in Tulu, Maikala in Beary Bashe, Kodial in Konkani and Mangalapuram in Malayalam. It is situated about 371 kms in the west of the state capital, Bangalore between the Arabian Sea and the Western Ghat mountain ranges. 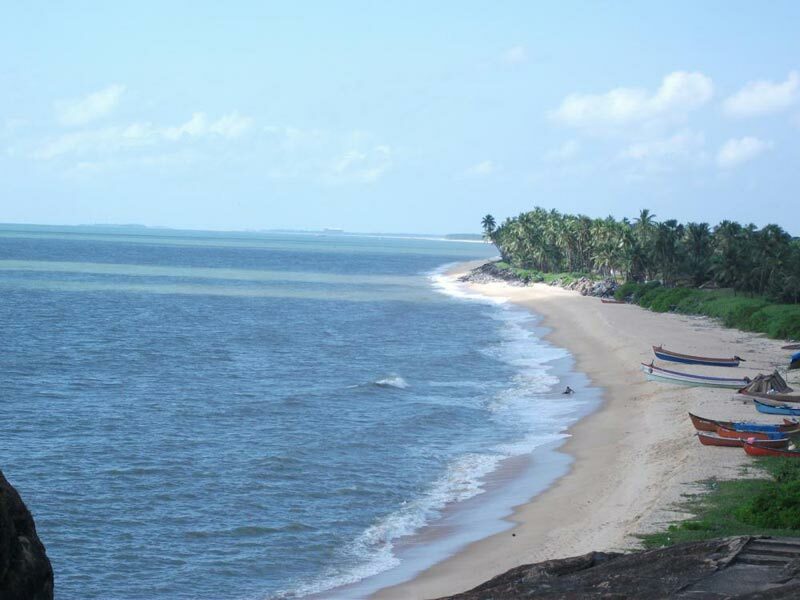 Udupi is a city located in the southwest of Karnataka. It is the headquarters of Udupi District and is popular for the Krishna Temple. 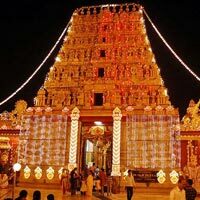 It is also known as Lord Parasurama Kshetra, and is famous for Kanakana Kindi. Other major attractions of Udupi are Shivalli (Shivabelli) and Rajata Peetha, popular pilgrim centers. Today, we will start our day a bit early in the morning and pay a visit to the Udupi Krishna Temple, a renowned Sri Krishna Temple in the area. Also, we will the Chandramouleshwara Temple and Anantheshwara temple. Afterwards, we will return back to the hotel for breakfast. After finishing with the breakfast served at the hotel, we will check out and head towards Murudeshwara, which is about 103 Km away. On the way, we will visit the Anegudde Vinayaka Temple. 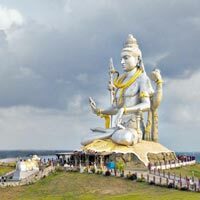 Murudeshwara is a town lies on the coast of the Arabian Sea. It is famous for its beach and temple that attract visitors from across the globe. 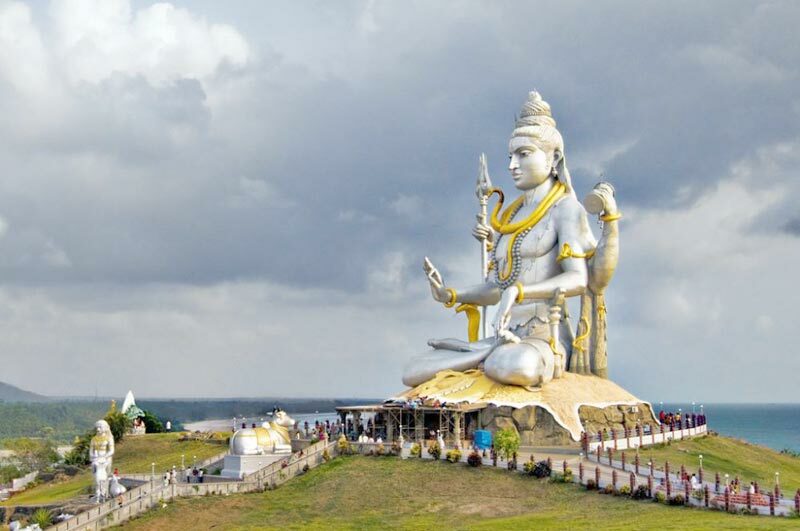 Murudeshwara has second tallest Shiva statue in the world. It is also known for its 20 storied Gopura, which is about 237.5 feet and is built at the temple. Afterwards, we will head towards Gokarna, which is about 78 kms away from the town. En-route, we will pay a visit to the well known Ganapathi Temple at Idagunji. On reaching Gokarna, check in at the hotel and take pleasure of a comfortable overnight stay. After an early morning bath, we will pay a visit to one of the famous temples of Gokarna i.e. Mahabaleshwara Temple, a holy pilgrimage site amongst Hindu devotes. We will also visit the Ganapathi Temple and Tamra Gowri Temple. Thereafter, we will return back to the hotel for breakfast. After breakfast, we will leave to visit Sirsi, which is about 84 kms away. On arrival, check in at your already booked hotel. After rest for some time, we will visit Sahasralinga, which is about 17 kms away. It is a stunning location in Western Ghats where hundreds of Lingas are carved in stone in Shalmala River in North Canara. If have time in hand, we will also visit Sri Madhukeshwara Temple or Sonda Vadiraja Mutt at Banavasi. In the morning after breakfast, we will check out from the hotel and leave for Jog Falls, which is about 63 kms away and counted among one of the major tourist places in Karnataka known for its abundant natural beauty. It is India's second-highest waterfall and also named as Jogada Gundi and Gersoppa Falls. Afterwards, we will head towards our next destination i.e. 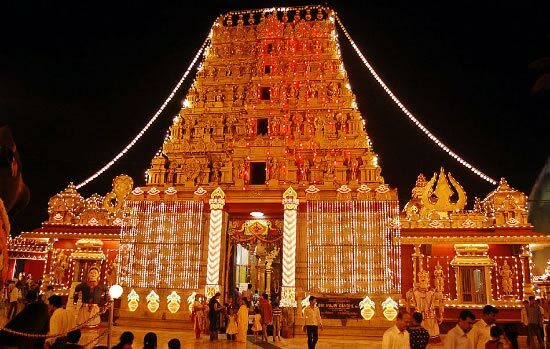 Sigandur Chowdeshwari Temple, which is situated near river Sharavathi. Surrounded with green areas all across, this temple is unique in itself. It is the temple of Goddess which is self evident and is very powerful. Thereafter, we will proceed for our final destination for the day i.e. Kollur, which is about 48 kms away. It lies at the foot of the Western Ghats and known for housing an ancient temple devoted to Goddess Mookambika. On reaching, check in at the hotel and pay a visit to the famous Mookambika Temple. It is said that the panchaloha image of the goddess on Shri Chakra is deified by Shri Adi Shankaracharya. Enjoy an overnight stay in the hotel in Kollur. After morning breakfast, we will check out from the hotel and leave for Sringeri, which is about 110 kms away. On the way, one can enjoy capturing the scenic views of Agumbe Ghat. At Sringeri, we will explore its two beautiful temples including Vidya Shankara Temple and Sri Sharadamba Temple. Thereafter, we will proceed to Horanadu, which is about 80 kms away. Take pleasure of an overnight stay in the hotel in Horanadu. Sringeri is situated on the banks of Tunga River. It is the site of the first mutt established by Adi Shankaracharya and is listed among the main attractions of Sringeri. The place is blessed with two ancient temples named Sri Sharadamba Temple and Vidya Shankara Temple that is visited by thousands of Hindu devotees from across the country and the world. Out of the two temples, the Vidyashankara temple is an architectural marvel. Horanadu is a place of captivating natural landscape in Chikmagalur district. It has an ancient temple of the goddess Annapoorneshwari that has been restored and renamed as the Adi - Shaktyatmaka Shree Annapoorneshwari. The main divinity of Annapoorneshwari is made of gold. It is believed that a person who seeks the blessings of Goddess would never have any lack for food in life.